Not sure if you’ve seen the commercials, but the makers of Silk have come out with an alternative to fruit juice (finally!). I’m in no way dissing fruit juice, I personally love it. It’s a great way to get a serving of fruit (depending on the type) and some vitamins and minerals that I just don’t get from food on a daily basis. And let’s be honest….it’s fruity, and tasty!! The only downside I have with fruit juice is that it is completely LOADED with sugar!!! So when I saw the new Silk commercials, I was really excited. Now, I do have a slight disclaimer…I try to actually try anything I blog about, but this I haven’t tried. I’ve looked for it in a couple grocery stores but haven’t seem to find it yet. But I do use Silk for my milk and chocolate milk (yay lactose intolerance) and absolutely love them! And honestly I’d probably drink Silk even if I could have regular milk. They fortify it with more calcium and vitamins than regular milk, and frankly, it lasts a lot longer! So I’m assuming that the fruit drink is just as tasty! If it’s like Silk, I’m imagining it will be sort of like a smoothie-like drink as opposed to a juice. There are currently 3 flavors available: Mango Peach, Mixed Berry, and Strawberry Banana. Now, the good thing about this drink is that it not only has less calories than other fruit drinks, but it also contains less carbs and less than HALF the amount of sugar!! What a difference!! It also has fiber, which a couple other fruit drinks I looked at did not, and it has Vitamins A, C, D, Iron, Calcium, and Folate in higher amounts than other drinks. Compared to other drinks, it has up to 5 times as much calcium…five times!! In this day and age when so many people are calcium and Vitamin D deficient, have a tasty way to raise those levels is a big deal!! And the sugar levels are significantly better!! More and more I’m discovering that many people have bought into the myth that being healthy means being on a diet, when in reality it’s a lifestyle change. And another very common misconception is that when you have a healthy eating style you all of a sudden go from fried foods and fattening desserts to being a vegan in 24 hours. While yes, eating healthy does mean less fried and fattening foods, it’s not an immediate 180 degree transformation, it’s a LIFEstyle change that slowly becomes a habit. And this lifestyle is obtained by slowly making easy changes in your everyday life until its no longer a chore. Yogurt is a really good snack that is pretty well liked by most people. 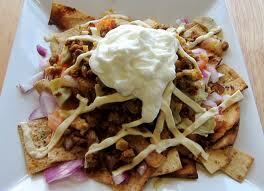 But there is a way to make this yummy snack even healthier!! What people don’t realize is that many yogurts are sweetened with the same sugar substitute used in diet drinks – aspartame – which is still under studies, but as far as many dietitians are concerned, this does more harm than real sugar. Your body doesn’t know how to process some of these sugar substitutes because they’re man made! But rest assured there is a way to still get a calcium filled snack! Greek yogurt is a wonderful way to still get all the calcium and nutrients of yogurt, but without the potentially harmful aspartame! It actually has about half as much sugar content, in addition to doubling the protein of regular yogurts! You can even use Greek yogurt in many recipes as a fat substitute! Greek yogurt is made without sugar substitutes and in my opinion is more filling than traditional yogurt. So when you’re going down the yogurt aisle, go for the Greek!! 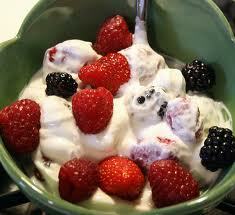 I have started using Greek yogurt in many of my recipes as a substitute for heavy cream and for sour cream. 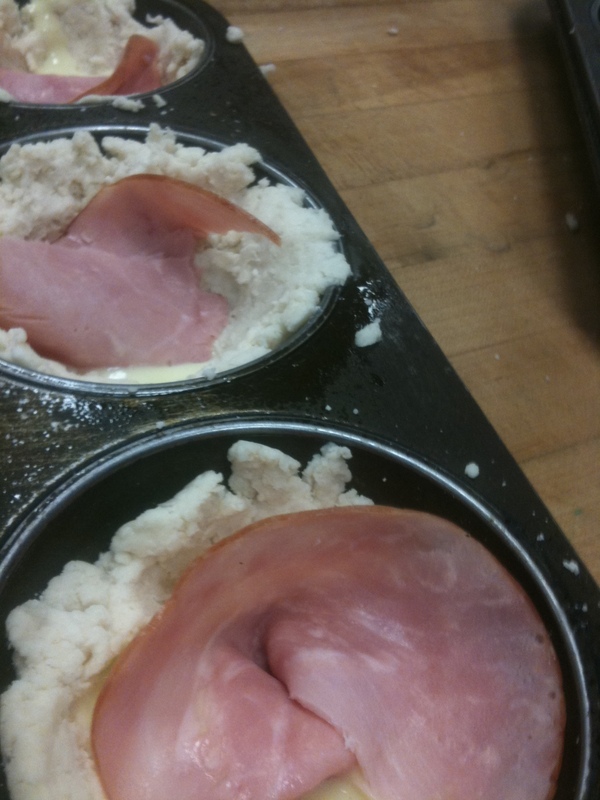 It works really well and holds up to applications where heat is applied (soups and baking). It is a perfect tangy, creamy substitute for sour cream in twice baked potatoes and even in tacos and enchiladas. Check out one of my past recipes “Greeky Tilapia” for a use for Greek yogurt in a sauce. It is a light and healthy recipe perfect for the summer heat. In an ovenproof skillet over medium heat, start melting the butter. With a spatula, remove the fish to another plate and tent with foil. Place the skillet back on a medium burner for about 6 minutes until the liquid in the pan starts to reduce. Add the Greek yogurt, whisking it into the sauce until it is incorporated. Add the artichoke hearts and the spinach. Keep cooking until the artichokes are heated through and the spinach starts to wilt. This would also be pretty and delicious with some chopped fresh tomatoes on top along with a sprinkle of feta cheese. I am a sucker for breakfast. Don’t get me wrong. I don’t love mornings, but I DO and love breakfast! I like breakfast any time of the day. It always seems so luxurious and indulgent to be able to sit down and eat a yummy breakfast. Whether it is brunch with friends or simply some quiet time to read over a steaming cup of coffee, it is a treat. Breakfast food is so diverse. It can range from healthy egg whites and granola to chorizo and huevos rancheros. It can be chock full of carbs with buttery biscuits, fluffy pancakes, crispy waffles dripping with maple syrup all the way to high protein with cheesy omelettes, smoky bacon and sausage and scrambled eggs. The best breakfast, of course, is a mixture of all of the above! J I find it hard to resist soft cooked eggs that I can sop up with toasty biscuits, cheesy potato casserole, and a couple of pancakes with real maple syrup (or chocolate chips!) Obviously, I can’t eat like that very often. But that doesn’t mean I don’t think about it! Here is wishing you lots of late mornings and delicious breakfasts with friends and loved ones. In a saucepan over gentle heat, whisk together your egg yolks, lemon juice, and half of the butter. Whisk the mixture constantly. It will foam up and start to thicken. DON’T stop stirring! Set the sauce aside and make your biscuits. Follow the directions on the box for “drop” biscuits. 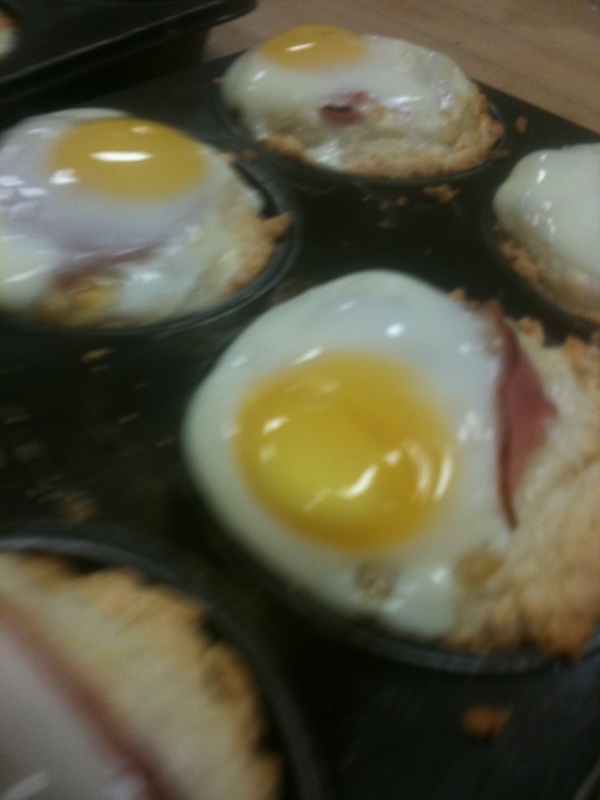 Spray 2 “giant size” muffin tins with cooking spray. 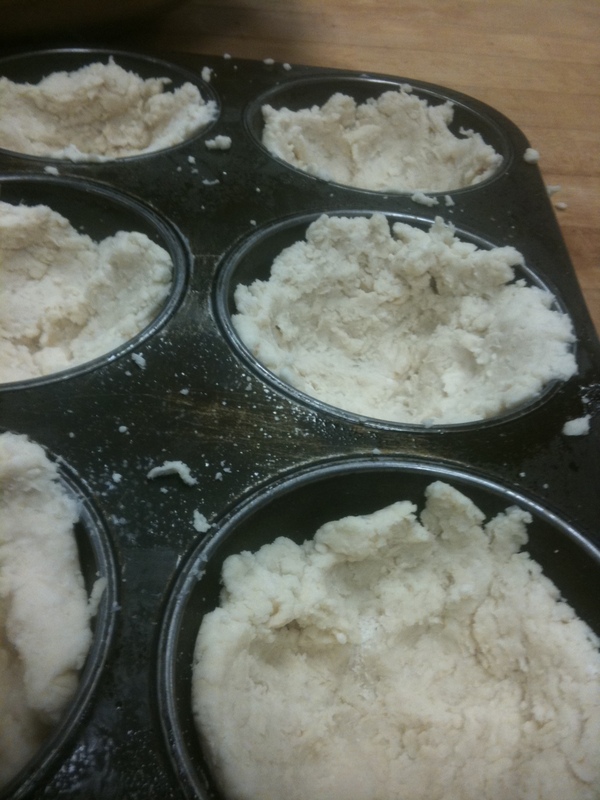 Gently press about 2T of dough onto the sides and bottom of each muffin cup. Don’t worry if it seems like a thin layer. The dough puffs up as it bakes. 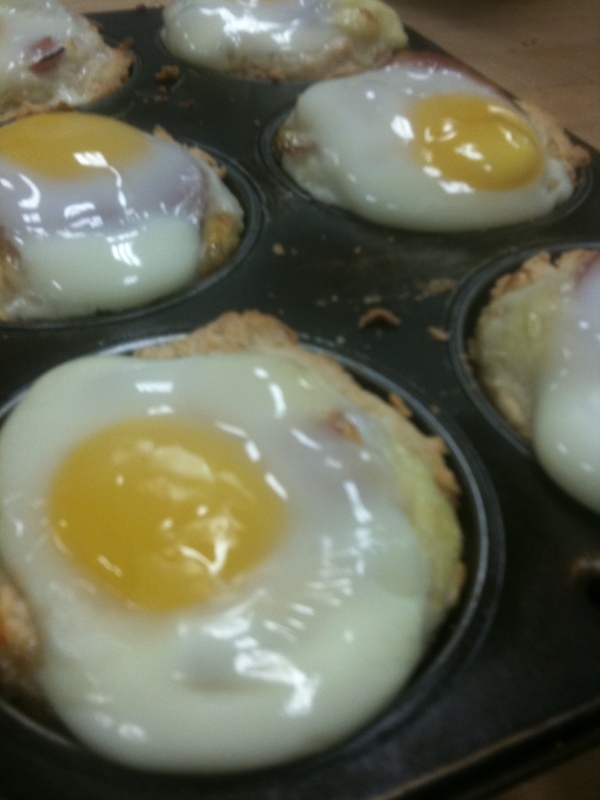 Then, gently crack one egg into the center of each biscuit cup, taking care not to break the yolk. 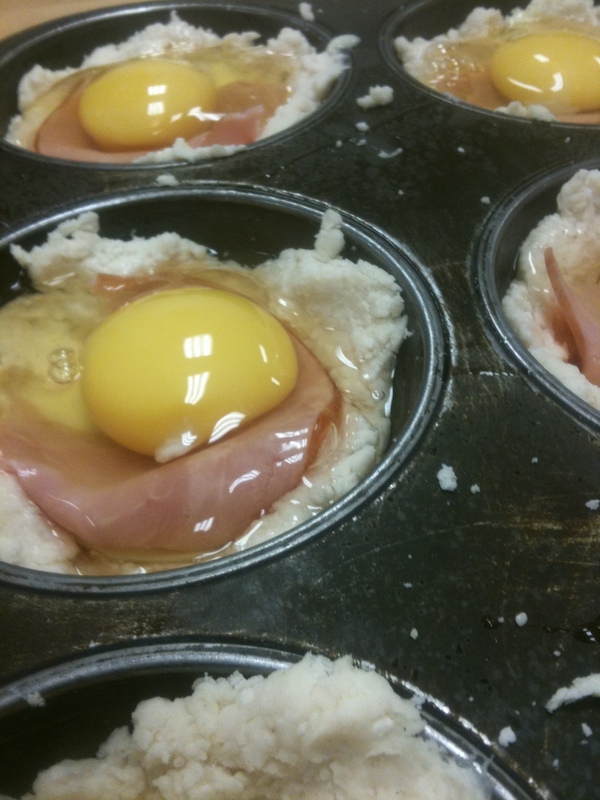 Pop the muffin tins into a 350 degree oven for 20-30 minutes or until the whites of the egg are set and the biscuit is golden around the edges that you can see. 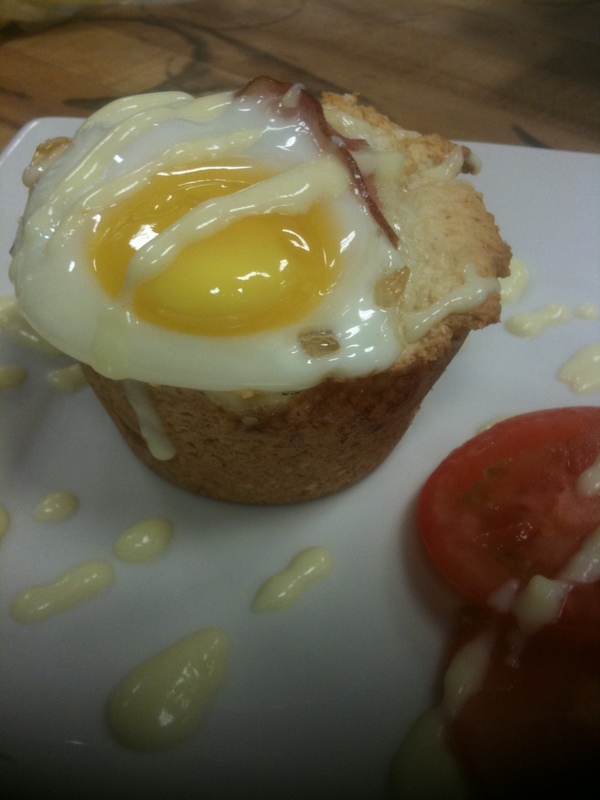 Serve these with more of the hollandaise sauce drizzled on top. (Just snip a corner from the Ziploc bag) I like these with sliced tomatoes and avocadoes too. 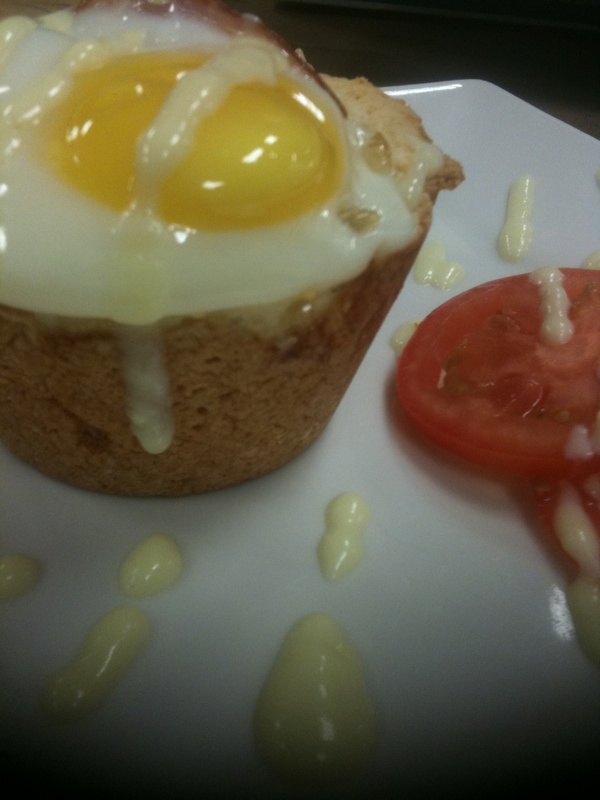 The sauce is a delicious accompaniment to them and it rounds out your breakfast meal.